Don't let your eyes glaze over; some of you will want to know this. Underwater photographers frequently encounter particulate in the water that can appear as hundreds (thousands?) of white spots in a picture when lights strike them. I've been having almost unbearable backscatter (the white dots) shooting in the pool and, yesterday, took steps to improve the situation by replacing a SAND filter with the pictured D.E. (diatomaceous earth) filter. 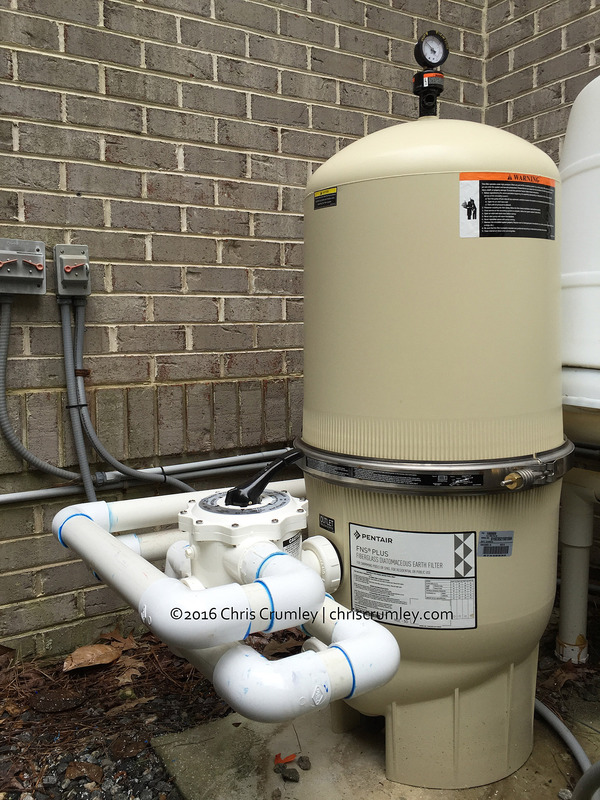 Sand filters remove particles down to 70-100 microns (for perspective, a human hair is about 75 microns). The D.E. filter will filter particles down to 3-5 MICRONS, so starting today, shooting sessions should be significantly better. Get the picture?